Page 15: Little Hero Adventure June 24 – June 28 is located at the Del Mar Clubhouse (not Polster Clubhouse as listed). Page 9 & 17: Under the Sea Week 8 is PM (not AM as listed). Little Hero should be at Del Mar week 2 and Polster week 6. The printed brochure description page has them both at Polster, the ONLINE brochure reads correct. Under the sea is PRINTED INCORRECTLY – but the ONLINE version is correct for week 8. Under the Sea week 8 is printed as AM when it should read PM. 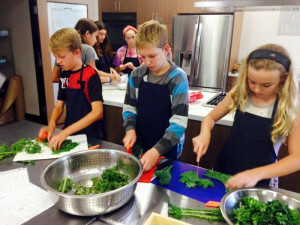 What are Adventure Day Camps? Our Adventure Day Camps serve campers of all abilities, ages 5-13, with small group instruction in 6 core areas: The Arts, Character & Leadership Development, Education & Career Development, Health & Life Skills, Sports, Fitness & Recreation, and Technology. Campers are given the opportunity to progress at their own rate and develop long-lasting friendships that grow through participation. Campers also have the opportunity to participate in a variety of field trips to local San Diego locations. Campers are divided into groups by age. *Center for a Healthy Lifestyle (CHL) Camp registration is on a separate system and will not be visible when registering for Adventure Day Camps. To register for a CHL Camp please see the below drop down “How do I register for a CHL Camp?”. What are Adventure Specialty Camps? Our Specialty Adventure Camps offer over 100 specialized camp options over 10 weeks of summer. All of our Specialty Camps are designed to give campers the opportunity to learn about or develop skills in a specific area. These are a wonderful way to expose your child to a new activity for the first time, or allow a camper with a particular interest or talent to further develop their ability in a summer camp setting. Specialty camps are seasonal, please contact camp office for more information. 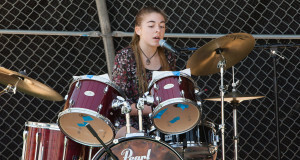 Please browse our camp brochure to learn more about these camps offered. What is the Leaders In Training Program? The L.I.T. program gives our older members an opportunity to participate in our camps program in a more helpful role. What’s great about our L.I.T. program is not only do our members get the chance to work with campers and share their passion and interests, but they also get the hands on experience of working side by side our wonderful team of staff. All of our L.I.T.’s also have the opportunity to use their L.I.T. hours 9am-3pm as community service hours to fulfill any graduation requirements. Program Fee: $115 per 5 days during our Summer Adventure Camps season which runs June 17 – August 22, 2019. To Apply: Fill out the L.I.T. application available on page 31 or online at bgcsandieguito.org/programs/camps and email it to the Camp Director, Candace Calero at cgerlach@bgcsandieguito.org. Candidates will be contacted to set up an interview with a Summer Camps Site Supervisor. All candidates must be interviewed and accepted into the L.I.T. program prior to registering. *L.I.T. candidates may request a camp location/specialty camp to participate at. Requests must be approved by Camp Director prior to participation. Transportation is not provided and hours of operation may vary by location. Center for a Healthy Lifestyle (CHL) Camp registration is on a separate system and will not be visible when registering for Adventure Day Camps. To register for a CHL Camp, please follow the link below. Registration is 100% online for Summer Adventure Camps. With our registration program you can also access your campers information, make any necessary changes to your campers profile, add camps, and view or print statements when needed. *Camp fees must be paid at time of registration in order to secure your spot in a particular camp. Please click on the program name above for more information and registration. Join us for after hours fun at Boys & Girls Clubs of San Dieguito Polster Clubhouse! Here is your chance to stay after hours with all of your friends! Campers will have a blast playing games, swimming at the local pool, watching movies and creating fun art projects. This will be a night to remember! Dinner and snacks will be provided. Transportation is only one way from the Allred, Griset or Harper Clubhouses. Campers must be picked up by a parent no later than 10:00pm at the Polster Clubhouse on the night of the event. *Campers must be registered for Early Drop Off/Late Pick Up on the day of the event if utilizing the transportation option. To close out the summer camp season, ALL campers are invited to bring their friends and family for an evening of festivities and fun compliments of Boys & Girls Clubs of San Dieguito. Food, bounce houses, face painting, games, SWAG Bags, and FUN! Please contact our Camp Office for more information. *SWAG Bags, prizes and complimentary concessions are offered on a first come first served basis. Boys & Girls Clubs of San Dieguito Summer Adventure Camps program is partnering with Del Mar Jr. Lifeguards to provide transportation and extended day camps. Register now at www.bgcsandieugito.org/programs/camps. The Del Mar Junior Lifeguard Program is a comprehensive youth training program designed to develop and build self-esteem, life-saving/emergency skills and techniques, physical fitness, respect and appreciation of the ocean environment and general water safety through a variety of techniques including games and competitions, lectures, surfing, body boarding, swimming, special guest visits, training with lifeguard emergency equipment and most importantly – FUN! *Swim test must be passed before participating in program. *To register for Del Mar Jr. Lifeguards please visit their website www.delmarjg.com. The Del Mar Little Turtle Program is a PRE-Junior Lifeguard Program, a non-competitive introduction to the beach and ocean environment. The main focus will be learning and FUN; giving younger children a positive experience at the beach. Morning sessions ONLY. *Swim test must be passed before participating in program. *To register for Del Mar Jr. Lifeguards please visit their website www.delmarjg.com. Transportation and extended day camp is being offered through Boys & Girls Clubs of San Dieguito Summer Adventure Camps! At the conclusion of their lifeguard activities each day, participants will be transported from the Del Mar Jr. Lifeguard Program to the Polster Clubhouse location in Carmel Valley by Boys & Girls Club vans where they will participate in our Summer Day Camps activities until pickup (1:30pm-6:00pm). Participants are required to bring a change of clothes and sack lunch each day. This program is offered for the 2 week and 4 week Jr. Guard and Little Turtles sessions between June 17th and August 2nd. Please see the session and fee chart below. Registration for Extended Summer Day Camp program is through Boys & Girls Clubs of San Dieugito. Registration for Transportation & Extended Summer Day Camp Program is through Boys & Girls Clubs of San Dieugito. To register please visit our website www.bgcsummercamps.org. Register now, space is limited! 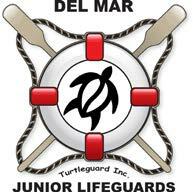 You must also register your camper for either the Del Mar Jr. Lifeguards or Little Turtle Program by visiting their website at www.delmarjg.com. but our specialty departments offer summer programs as well! Swim Lessons. Swim Team. Adult Swimming.